Marc Privett, General Manager at Careers24 reveals the past recruitment trends and what they will mean for the year ahead. 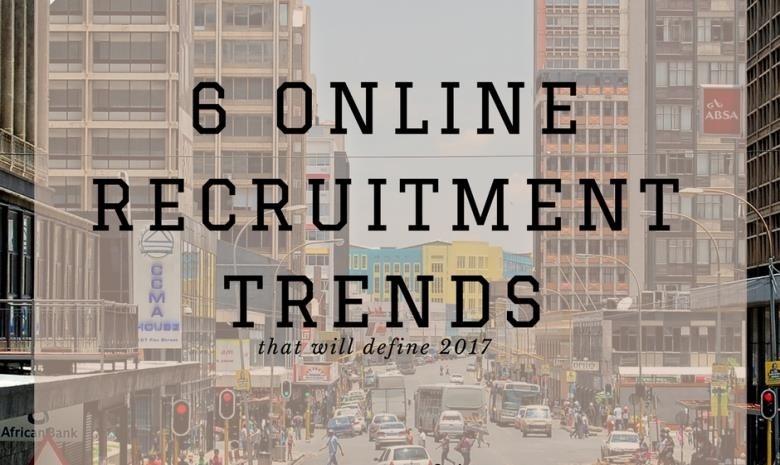 2016 was a bullish year for online recruitment, even in South Africa. As our digital landscape continued to grow so did the need for companies to employ an effective, engaging online recruitment strategy. Here are some of the top recruitment trends that Careers24 saw in 2016, and which recruiters should anticipate in 2017. The South African market is following the international trend where candidates with skills and experience hold the power. This is particularly marked in sectors and industries where there is a shortage of skills. This coupled with the changing attitude towards work by Millennials has meant that recruiters have to spend a lot more time sourcing, but also selling opportunities to candidates. It is without a doubt a case of skilled, experienced and educated candidates choosing the roles and companies rather than the other way around. In 2016, we saw a shift in focus of the larger organisations focusing on their employer value proposition as they vie for the attention of high quality candidates. With this there was a focus on selling their employer brand internally to existing staff, on their company websites and also on platforms like Careers24. We expect to see this marriage of marketing and recruitment becoming more important for companies to remain competitive in a market where there is a shortage of skills, coupled with shorter tenures at companies. I expect that in 2017 smaller organisations will emulate what some of the larger blue chip companies are doing in the employer branding space. View Standard Bank, Makro and Liberty Life's Employer Branding pages. South Africa finds itself in an environment where there is an immense shortage of skills, particularly in engineering, IT and the medical fields. Head-hunting of passive job seekers is vitally important to any recruiter, but success rates are highly dependent on a couple factors. Generally speaking there has to be a strong reason for skilled employees to move from one company to another – and in most cases it is not just about the money. Recruiters who successfully recruit passive jobseekers not only understand the wants and needs of the candidate, but also know how to sell the opportunity outside of salary and benefits. This is where concepts like the value of the work that a candidate would be doing, the way in which the company operates and how the company gives back to the greater community become very important. Tools like Careers24’s candidate base of over 2.6 million candidates is a great source of passive candidates, and has been used successfully by recruiters to find candidates who are not actively looking for new employment. Data analytics in recruitment is in its infancy in general, and in South Africa there are few recruiters who are using this successfully. But we are seeing that talent management software is focusing a lot more on data analytics to help recruiters plan their recruitment needs, not only by understanding their historical data, but also by being able to effectively forward plan based on staff attrition rates and behavioural trends such as absenteeism. Many large software vendors including IBM are offering tools focused specifically around data analytics for recruitment. The issue of youth unemployment can clearly be seen on Careers24 as we have seen an influx of first time job seekers who, with access to smart phones and cheaper data (thanks to partnerships with Vodacom’s NXT LVL and Facebook’s internet.org, free job searching) are now able to access these services online for the first time. On the reverse of this, we have seen that skilled and experienced candidates are not job hopping in the same way that they did in previous years. This is an indication that job security in this tough economic time takes precedence over new opportunities. Read more about Vodacom's NXT LVL here. Talent Networks are either online or offline networks that are designed to have conversations with prospective, but mostly passive, candidates with the aim to have them engage with the organisation so that they can eventually become employees. Because there is a shift of power in the recruitment process where candidates need to be convinced these networks offer the opportunity to have conversations with other candidates. Online tools such as peer-driven company reviews and company-driven corporate showcase sites are an extension of talent networks. Careers24 has a company review section which offers unedited warts-and-all insights by employees of what it is really like to work for an organisation, from management style to benefits and even the interview process itself. This is a great tool for any prospective employee to use to get a behind-the-scenes view of what it is really like to work for a particular company.